If you’ve ventured from the safe confines of your home in the past couple of weeks, or even if you haven’t but have turned on the television or opened a newspaper, you’ve doubtless been reminded that Christmas is coming soon. The ads and promotions and specials are everywhere as retailers and merchants compete for our dollars (and many times, our sense) during the holiday season. Of course, as Christians, we all know that the reason for the season isn’t about gifts bought with the almighty dollar, rather it’s the Gift brought about by The Almighty God in the form of His son Jesus Christ. And the best gift that we can give to those blinded by the secular bling-bling of the shopping malls is the Good News of Jesus Christ. So what are you and your church planning for this year’s Advent season to help share the ultimate gift with your community? If you haven’t locked in on a sermon series or study for your church, Sunday school class or small group, here are a few ideas for your consideration. In talking with Bishop Lowry, he suggested a couple of books released in the past few months that would be excellent and easy to work into an Advent series – “The Journey: Walking the Road to Bethlehem” by Adam Hamilton and “Christmas Is Not Your Birthday: Experience the Joy of Living and Giving like Jesus” by Michael B. Slaughter. In “The Journey,” you and your congregation/small group can travel from Nazareth to Bethlehem in this fascinating look at the birth of Jesus Christ. Using historical information, archaeological data and a personal look at some of the stories surrounding the birth, the most amazing moment in history will become more real and heart-felt as you walk along this road. 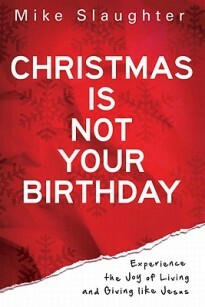 For those looking to cut through the hype that leaves you exhausted and broke by year’s end, “Christmas Is Not Your Birthday” may be just the study for which you are looking. In five short, engaging chapters, Pastor Mike Slaughter inspires readers to approach Christmas differently and break the cycle of overspending, overeating, materialism and the busyness that robs us of our peace and joy and robs Jesus of his rightful role as the center of our celebration. Call Him God's Son, Alex Joyner, a lectionary-based study that encourages readers to deepen their commitment to Christ. A Thrill of Hope, a DVD-based study that tells the Christmas story in word and art. S hine! Light for All People, Patricia Farris, a focus on light as a symbol of Christ's birth as well as the ways in which our actions can be a light to others. Behold, Pamela Hawkins, this study cultivates attentiveness, curious expectancy and trustful anticipation. If you are looking for something that is ready to roll as a sermon series or small group lesson right out of the box, the good folks at United Methodist Communications would like to suggest Outside the Box: The Gift that Can’t be Contained. Available now as a free download, this four week sermon series is about how God used even the least likely Biblical characters (like Mary, Joseph, the shepherds and the innkeeper) to do miraculous things, and is designed to challenge congregations to reach out to people beyond the margins, You can click here to learn more about this series. Of course this is just a sampling of the many wonderful ideas and lessons to help usher in this beautiful season of Advent. If you have ideas that you want to share, shoot us a quick e-mail and let us know. 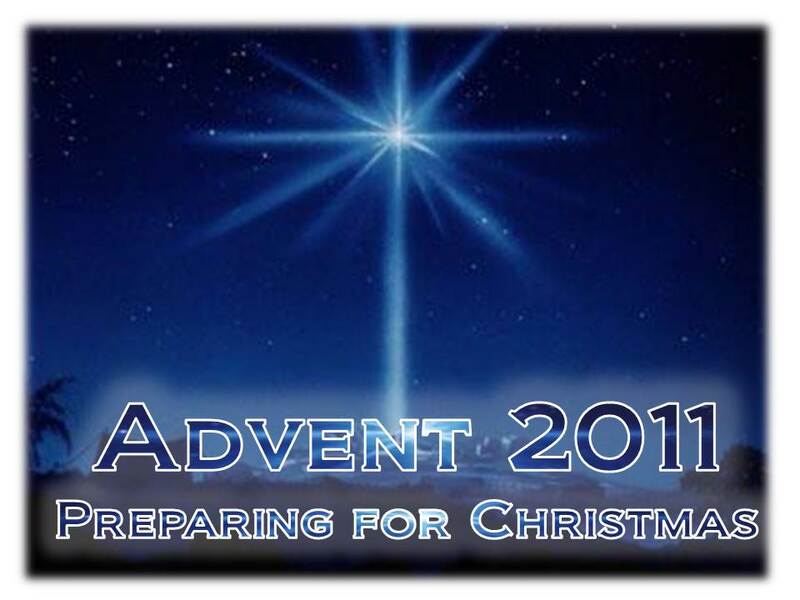 We’ll post them up as part of our Advent – Preparing for Christmas series over the next couple of weeks.